Keuco’s combination of aesthetics, ergonomics, and functionality gives a room a feeling of true luxury. Made with exceptional craftsmanship and outstanding German design, Keuco’s passion for quality and style is evident in every one of their products. With their clean lines and sparkling surfaces, these pieces will create a restful, intimate place of wellbeing. With every use of your Keuco fittings and accessories, you will enjoy immaculate, hand-polished surfaces; extraordinary workmanship; the latest technology; and corrosion-free fixings that will last for years to come. Keuco benefits from a long heritage of producing high-quality products for the bathroom. Since its foundation in 1953, the company has continuously expanded its range of products and gone from being the original specialist and market leader for high-quality bathroom accessories to presenting itself as a full-range supplier of bathroom furnishings including fittings, accessories, mirror cabinets, bathroom furniture and washbasins. Keuco’s team is conscious that water is an increasingly scarce and precious resource. 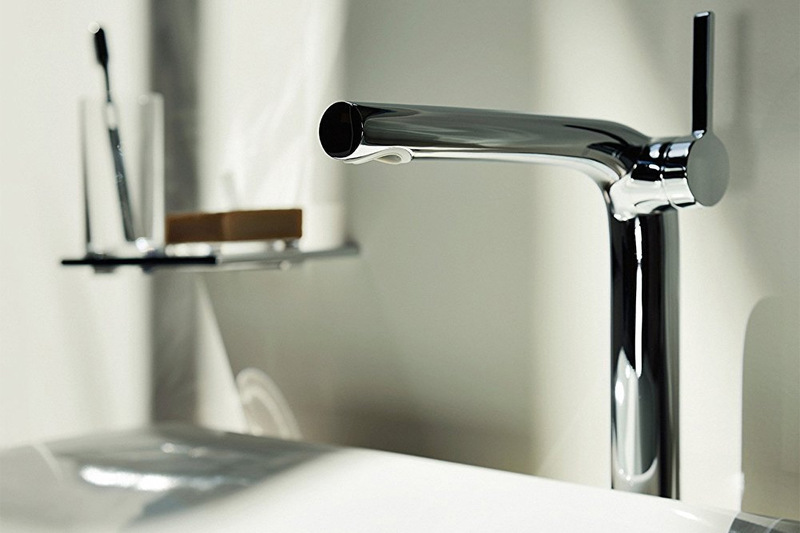 They are therefore committed to the principle of ecological sustainability which is carried from the very beginning of their manufacturing process, right through to the working brassware, incorporating the latest water-saving features, responsible use of materials and a reduction in energy consumption and reduced water usage. They also run meticulous checks for leak-proof results on each individual fitting to ensure a quality finish every time. Each stage, from casting of the raw materials through to electroplating and the finished fitting, is managed and controlled with responsible use of water resources, while also ensuring maximum reliability and durability of the fitting. By choosing Keuco bathroom fittings, whether basin taps, bath fillers, bath taps and shower taps, hand showers or thermostats, you can be confident that their acknowledgement of the need to conserve and manage water has been translated into positive action from the first steps of design to the finished product. We have many products available in the Keuco range. View the options online or visit us in store.